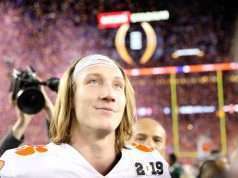 CLEMSON, S.C. — The Atlantic Coast Conference announced today that quarterback Trevor Lawrence has been named ACC Co-Rookie of the Week for his performance in Clemson’s 59-10 win at Florida State on Saturday. 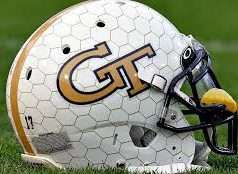 Lawrence will share the weekly honor with Georgia Tech quarterback Tobias Oliver. 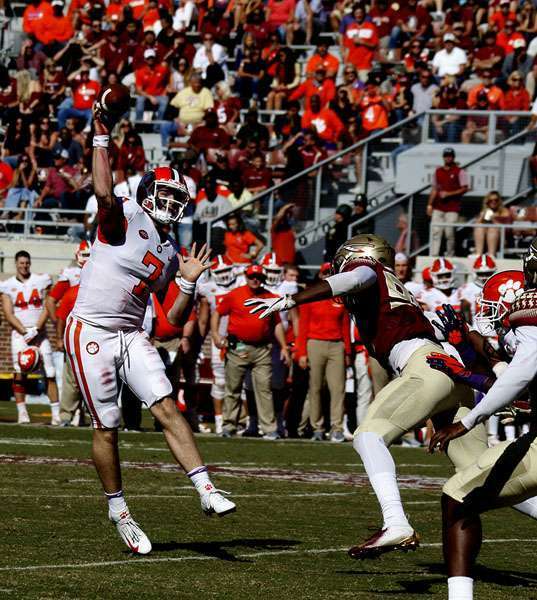 With Lawrence’s selection, Clemson has now collected a total of 452 ACC weekly honors since 1978. It marks the fourth time this season that a Clemson player has earned Rookie of the Week honors, including three selections by Lawrence (at Georgia Tech, vs. NC State and at Florida State) and one by running back Lyn-J Dixon (at Wake Forest). Against Florida State, Lawrence completed 20-37 passes for a career-high 314 yards and tied his career high with four passing touchdowns. 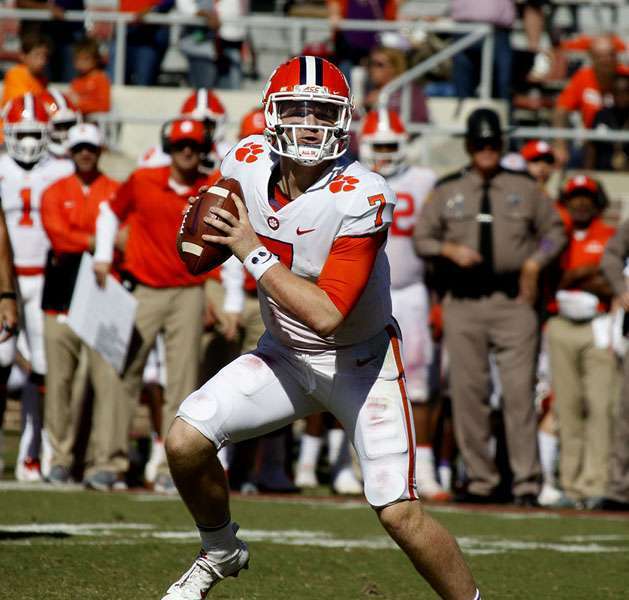 During the contest, he broke Deshaun Watson’s school record for single-season passing yards and passing touchdowns by a true freshman, while also tying Watson’s mark for wins as a starting quarterback by a first-year freshman with his four victories as a starter this season. Lawrence becomes the first Clemson player to win ACC Rookie of the Week honors in back-to-back games since Wayne Gallman in 2014. 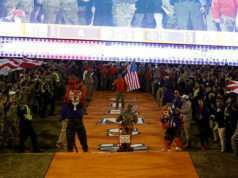 He is the first Tiger to earn three Rookie of the Week awards in a single year since Watson in 2014.